I am focusing on bringing the liturgical calendar into our daily lives and family. It has been a goal of mine for some time, but I didn’t pursue it in earnest for a variety of reasons. This week really began my focus on celebrating feasts that are important to our family, so this week we have in different ways celebrated the Feast of the Holy Archangels, St. Therese, and tomorrow the Holy Guardian Angels. I am not a particularly crafty person, so I like to keep things simple, but beautiful. I do enjoy cooking, so I have found some great recipes to help me. I also don’t want to do a dessert for every feast day. For a week like this, that would have been three different desserts. Instead I chose to reserve a special dessert for my daughter’s feast day on Tuesday and the other two feasts do an easy craft and a dinner that focuses on the saint. 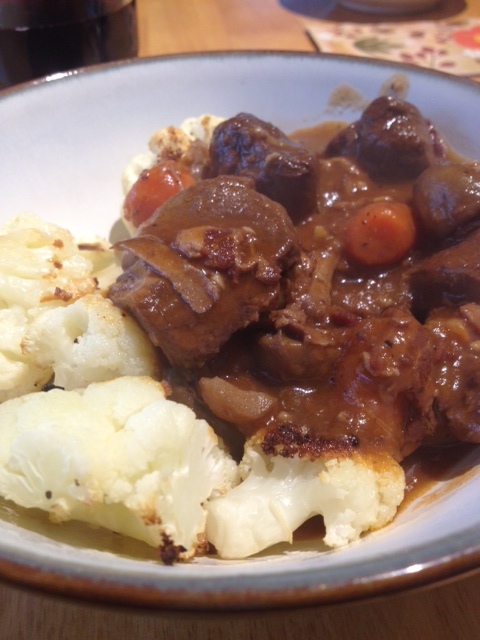 For today’s Feast of St. Therese of Lisieux, I made the French dish, Venison Bourguignon. More specifically I made this recipe. It was out of this world good. 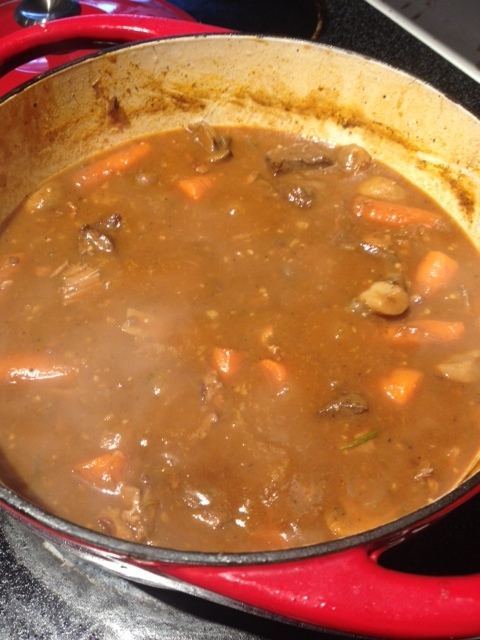 I have been slowly sipping a glass of the dry red wine I used in the recipe. The meat was tender and the sauce tasted like wine, herbs, and meat. I have been to Paris and I had forgotten just how good French food really is to eat. It was a fantastic way to celebrate and savor. St. Therese is one of my patronesses and you can read about her in my article over at Catholic Exchange for today. She teaches me to how to offer my daily life to God as a sacrifice of love. In choosing to live the rhythms of the Church I am better able to focus my family in our vocation and journey towards Heaven. Instead of being so focused on this world, stepping into the liturgical calendar reminds us that we are surrounded by a great cloud of witnesses who are cheering us on with their prayers. They want us to get to know them, befriend them, and rely on them for prayers much like we rely on our friends on this side of Eternity. If you haven’t tried celebrating feast days outside of Christmas and Easter, I recommend adding a few celebrations to your family’s calendar. Choose your family’s patrons and patronesses or saints who have really helped you on the journey. There are so many saints on the calendar that it is hard to celebrate all of them. I look at the calendar each month and choose which ones to celebrate. Next week we will have a Middle Eastern dinner in honor of Our Lady of the Rosary. Like I said, I am not one of those awesome Pinterest moms who can carve Our Lady out of butter. I keep it pretty simple and my 4 year old daughter is not ready for complex crafts anyway. Today we made paper roses,which you can find here. They are super easy to make and really pretty. Even someone as inept as I am can make them. My only tip is not to wrap them too tight or they will not look like a rose. I learned that the hard way. Here are a few pictures from our St. Therese Feast. 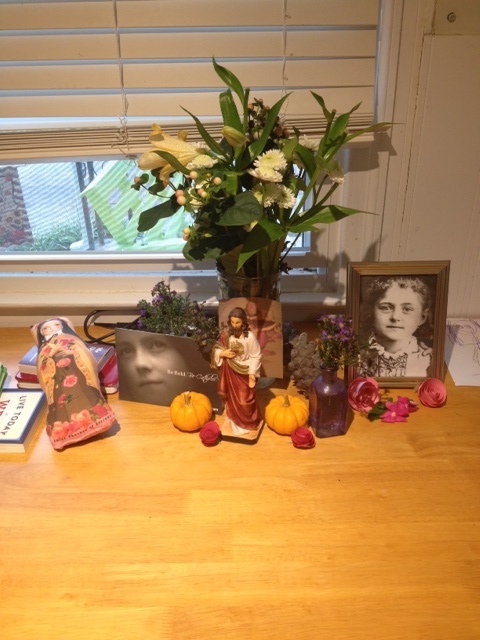 I decorate our table with flowers and pictures of St. Therese and our statue of Christ. Tomorrow I will change the images out for some I have found of Guardian Angels and make a Spaghetti Squash Pad Tai. The squash will be “angel hair” in place of rice noodles. We grow spaghetti squash in our garden have tons of them right now. God bless.